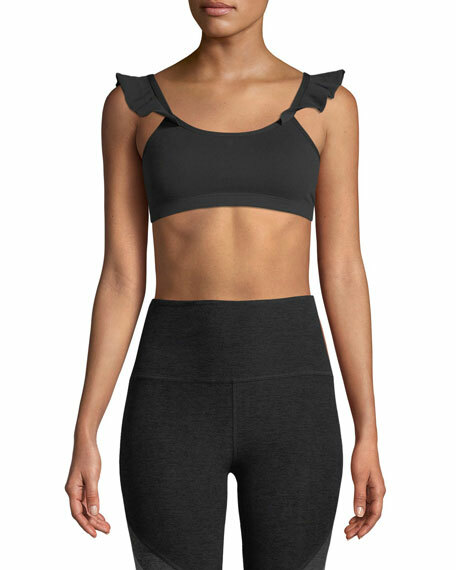 Alo Yoga "Infinite" sports bra in high-performance microfiber. Provides light support for low-impact activities such as yoga, walking, Pilates. Moisture wicking, 4-way stretch, & antimicrobial fabric. Thick straps cross at back. For in-store inquiries, use sku #2327183.